When was the last time your comforter went through a spin cycle? We get it – you avoid cleaning it at all costs since it’s bulky and takes foreverrrrr to dry. But, did you know that not washing your comforter could also impact your health? Yikes! If your comforter has seen better days, keep reading to figure out the best way to wash it (hint: aim for at least once a season). The way you wash and dry comforter depends on the fabric and the filling. For example, fabrics like silk or wool DO NOT go in the washer, so make sure you read through the manufacturer’s instructions before tossing it into the wash. 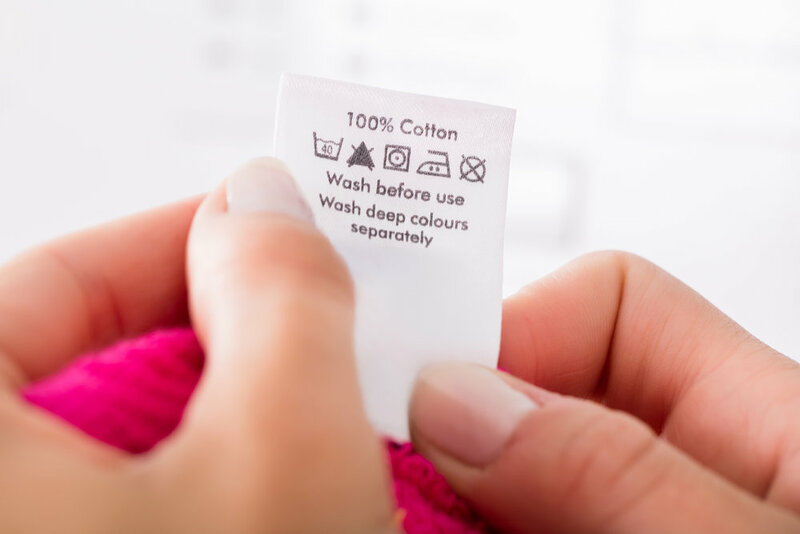 Some label directions you should keep an eye out for are Dry Clean Only, Wash in Cold Water, Hand Wash Only, and more. If you need additional help interpreting the label, check out this link. When it’s time to wash your comforter, you might find some old stains (maybe serving pancakes and syrup for breakfast in bed wasn’t theeeee best idea). But don’t worry, there’s still hope! Try some of these household stain removers. Also, you’re going to want to try to get the stains out before you wash and dry it. Dried on stains are harder (or even impossible) to get out. Once you’ve found and treated the stains, you’re ready to throw the comforter in the wash.
Now that you’ve stuffed your comforter into your washing machine (whew, it fits! ), you need to decide which detergent to use and what setting is best. For your detergent, opt for a mild option. Additives can potentially harm your comforter. For instance, don’t use fabric softener on a down comforter because it can coat the down and reduce its fluffiness. When it comes to the wash cycle, choose a faster speed so most of the water is wrung out of the fabric before going into the dryer. Most comforter-washing rookies might just switch over their comforter from the washer to the dryer without a thought, but correctly drying your comforter is just as important as correctly washing it. To prevent your comforter from being lumpy and stiff, one solid laundry hack is to put tennis balls in the dryer. We know it sounds crazy, but they can help evenly distribute the filling. Also, plan to fluff the comforter every 20-30 minutes during the dry cycle! Worried your comforter won’t fit in your dryer? Consider taking it to a laundromat. Commercial size dryers can easily accommodate giant fluffy comforters!